^ Israeli Billionaire Idan Ofer Makes Progress in Bid to Buy Stake in Atletico Madrid Soccer Club. Haaretz. 16 November 2017 [1 February 2018]. ^ Welch, Ben. Israeli billionaire Idan Ofer buys share of Spanish football giants Atlético Madrid. The JC. 17 November 2017 [1 February 2018]. ^ Hazani, Golan. Israeli Business Magnate Buys a 15% Stake in Atlético Madrid. CTECH. 17 November 2017 [1 February 2018]. ^ （英文） Wanda Group is now the owner of 20% of the Club's shareholding. clubatleticodemadrid.com. Atlético de Madrid. March 31, 2015 [November 7, 2015]. ^ 6.0 6.1 6.2 Classic club. FIFA. [20 November 2010]. ^ Talking History: Atlético Madrid – This Is Anfield (Liverpool FC). Thisisanfield. [20 November 2010]. ^ clubatleticodemadrid.com. clubatleticodemadrid.com. Retrieved 20 November 2010. ^ La Liga History – Football League 互联网档案馆的存檔，存档日期2012-03-06.. Ole Ole (6 April 2009). Retrieved 20 November 2010. ^ Real Madrid Vs. Atletico Madrid. Realatletico.com. Retrieved 20 November 2010. ^ European Cup & Champions League History 1955–2010. Europeancuphistory.com. Retrieved 20 November 2010. ^ European Competitions 1958–59. Rsssf.com. Retrieved 20 November 2010. ^ 1958/59: Di Stéfano keeps Madrid rolling on. Uefa.com (3 June 1959). Retrieved 20 November 2010. ^ uefa.com – UEFA Cup Winners' Cup 互联网档案馆的存檔，存档日期2015-09-04.. En.archive.uefa.com (1 June 1962). Retrieved 20 November 2010. ^ uefa.com – UEFA Cup Winners' Cup 互联网档案馆的存檔，存档日期2015-09-04.. En.archive.uefa.com. Retrieved 20 November 2010. ^ Enrique Collar, el 11 rojiblanco 互联网档案馆的存檔，存档日期2013-06-27.. Pobreatleti.com. Retrieved 20 November 2010. 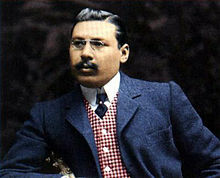 ^ Adelardo, Adelardo Rodríguez Sánchez. BDFutbol (26 September 1939). Retrieved 20 November 2010. ^ 1973/74: Müller ends Bayern wait –. Uefa.com. 15 May 1974 [2013-03-08]. ^ European Competitions 1973–74. Rsssf.com. Retrieved 20 November 2010. ^ 23.0 23.1 1973/74: Müller ends Bayern wait on. Uefa.com (15 May 1974). Retrieved 20 November 2010. ^ 24.0 24.1 Intercontinental Cup 1974. FIFA.com. Retrieved 20 November 2010. ^ Intercontinental Club Cup 1974. Rsssf.com. Retrieved 20 November 2010. ^ uefa.com – UEFA Cup Winners' Cup 互联网档案馆的存檔，存档日期2015-09-04.. En.archive.uefa.com (1 June 1986). Retrieved 20 November 2010. ^ European Competitions 1985–86. Rsssf.com. Retrieved 20 November 2010. ^ Atletico owner Gil dies. BBC News. 14 May 2004. ^ Futre, Paulo Jorge Dos Santos Futre. BDFutbol (28 February 1966). Retrieved 20 November 2010. ^ Lowe, Sid. Are 'madhouse' Atlético Madrid the worst run club in Europe?. The Guardian (London). 3 November 2009. ^ Lowe, Sid. Atlético Madrid can put end to glory of suffering in Liverpool semi. The Guardian (London). 18 April 2010. ^ Atletico Madrid Season Needs Flores Formula. Insidefutbol.com (1 December 2009). Retrieved 20 November 2010. ^ Fernando Torres Career 互联网档案馆的存檔，存档日期2011-01-09.. Torres.soccer-profiles.com. Retrieved 20 November 2010. ^ 35.0 35.1 Torres cuts short holiday, set to join Liverpool Soccernet.espn.go.com (3 July 2007). Retrieved 20 November 2010. ^ Austin, Simon. New and improved Forlan to test Liverpool. BBC News. 22 October 2008. ^ European Competitions 1996–97. Rsssf.com. Retrieved 20 November 2010. ^ Javier Aguirre Walks Away From Atletico 互联网档案馆的存檔，存档日期2011-10-04.. TheOriginalWinger.com (3 February 2009). Retrieved 20 November 2010. ^ Abel Resino: Atletico Madrid job dream come true | Spanish Football News 互联网档案馆的存檔，存档日期2009-02-07.. tribalfootball.com. Retrieved 20 November 2010. ^ Man United flop Forlan bags second Euro Golden Shoe after netting 32 times in La Liga. Daily Mail (London). 31 May 2009. ^ Fletcher, Paul. Chelsea 4 – 0 Atletico Madrid. BBC Sport. 21 October 2009 [13 May 2010]. ^ Quique to Atletico Madrid 互联网档案馆的存檔，存档日期2009-10-30.. La Liga Weekly (23 October 2009). Retrieved 20 November 2010. ^ Quique Sánchez Flores to be manager at Atlético de Madrid 互联网档案馆的存檔，存档日期2012-03-01.. Typicallyspanish.com (24 October 2009). Retrieved 20 November 2010. ^ Atletico Madrid coach Quique Sanchez Flores hails players' resolve against Fulham. The Daily Telegraph (London). 13 May 2010. ^ Report: Atlético Madrid v Sevilla FC – Spanish Copa del Rey – ESPN Soccernet. Soccernet.espn.go.com (20 May 2010). Retrieved 20 November 2010. ^ Wilson, Jonathan. Atlético Madrid 3–0 Athletic Bilbao. The Guardian (London). 9 May 2012. ^ Atl. Madrid 3–0 Athletic Bilbao: EL champs. Goal.com. 9 May 2012 [2013-03-08]. ^ Atletico Madrid upsets Real Madrid to win Copa del Rey. The Associated Press. 17 May 2013. ^ Football: Atletico stun 10-man Real Madrid to win Spanish Cup. Channel News Asia (Singapore). 17 May 2013. ^ Chelsea 1-3 Atletico Madrid. BBC Sport. 30 April 2014 [30 April 2014]. ^ Chelsea 1 Atlético Madrid 3. Daily Telegraph. 30 April 2014 [2 May 2014]. ^ Martin, Richard. Barcelona 1 Atletico Madrid 1, La Liga: match report. The Daily Telegraph. 17 May 2014 [17 May 2014]. ^ Spot-on Real Madrid defeat Atlético in final again. UEFA.com. 28 May 2016.